PHILIPPINES (October 2, 2017) – Relationships are on the line as tensions rise and emotions run high in the upcoming season of the highly charged political thriller Madam Secretary, which premieres on Sony Channel this October. 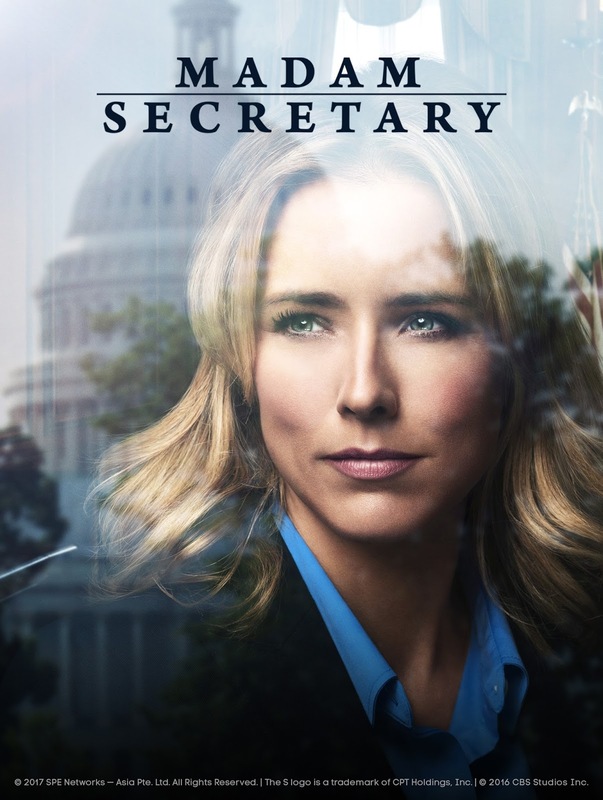 Last season, U. S. Secretary of State Elizabeth McCord (Tea Leoni) was trying to stop the possible dissolution of NATO and her husband, Henry McCord (Tim Daly) was brought in from the CIA to assist in the investigation. Together, they exposed a deal that the French made with Russia to dismantle NATO and prevented a potential war with the Russians. After saving the day, Elizabeth experiences a brief breakdown after knowing she was the last to learn of her husband’s new position and assignment in dangerous missions. Henry intentionally kept her in the dark, anticipating how she would react. At the start of season four, Elizabeth finds herself in hot water when a “fake news” story surfaces claiming her responsible for the sudden death of Timor-Leste’s assistant vice minister during a meeting with her on the first day of the UN General Assembly. Elizabeth battles this and other political intrigues that hound her while trying to draw the line between her personal life and her work at the White House. In the midst of several international crises she needs to solve, Elizabeth pays an emotional price when she lets her fears affect how she handles all the drama around her. Madam Secretary Season 4 premieres on October 10, every Tuesday at 8:50pm, same week as the U.S. telecast. First & Exclusive on Sony Channel. Sony Channel is available on SKYCable Channel 35, Destiny Cable Channel 62, Cignal Channel 120, G Sat Channel 48, and Cablelink Channel 39.